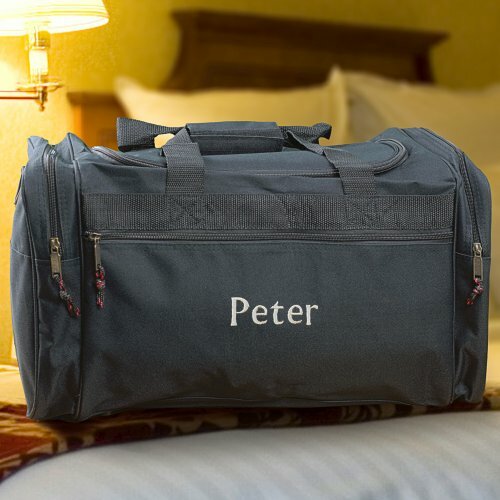 Personalized Embroidered Travel Duffel Bag. Let the adventure come out with this bag, take the bag anywhere you need it the most. This bag has the room you need to store the things you need to take any where. Imagine adding your shoes, towels, cell phone, or other things you need to get you through the day. This bag come in style you can personalized it with your name or initials, make this bag special for any one.